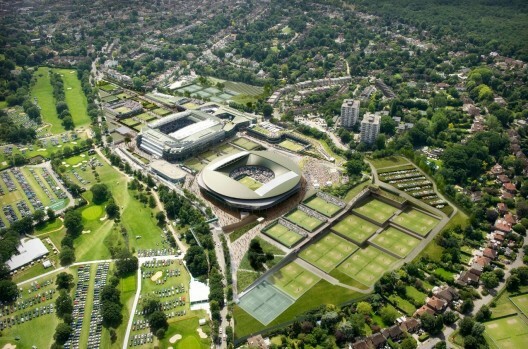 The All England Lawn Tennis Club has just unveiled this design proposal for the Wimbledon Master Plan developed by Grimshaw Architects, with top UK landscape architecture firm, Grant Associates. Marking the first step in a consultation process, the vision reflects and reinforces the long history of The Championships while further enhancing Wimbledon’s position as the premier Grand Slam tennis event. More images and architects’ description after the break.